Christmas markets sprout up across Europe and beyond during the festive period, each one with tell-tale wooden cottages, dazzling fairy lights and clouds of cinnamon and mulled wine. 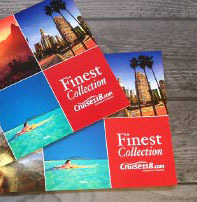 Each country adds its own spice of joy to the event, but which are the markets not to miss? 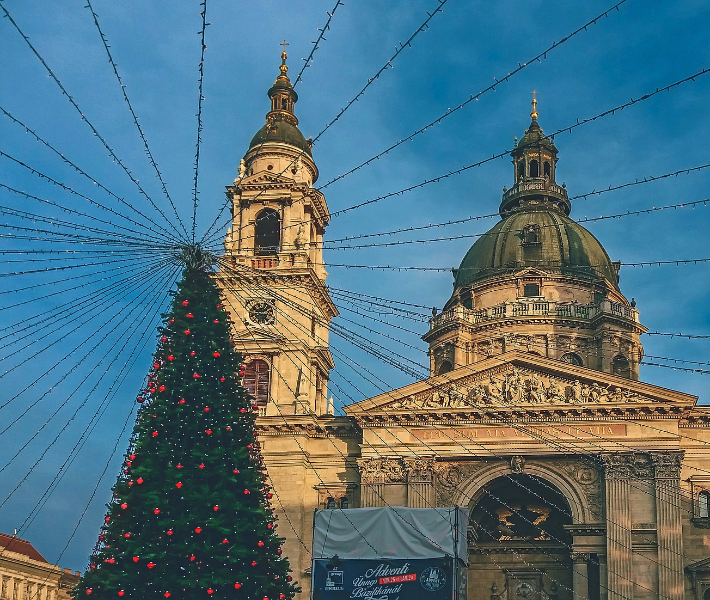 Taking place in Vörösmarty Square from early November through to the end of the year, Budapest’s Christmas Fair and Winter Festival is one of the oldest festive markets to experience throughout the city, as well as the most popular. With hundreds of wooden stalls selling novelty gifts and culinary delights, feel free to wander between the aisles with a mulled wine in hand. Seek out the Gerbaud Coffee House, which is converted into a giant advent calendar where a magical new window display is opened on each day of December until the 23rd. 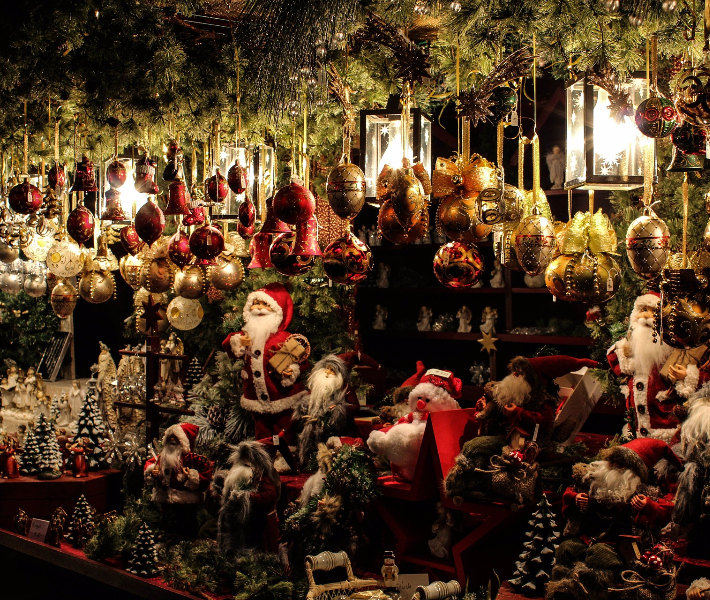 Germany’s oldest Christmas market, Striezelmarkt in Dresden is a firm favourite for locals and tourists alike. With eleven markets across the region ranging from merry medieval to après-ski in themes, enjoy walking between the stalls surrounded by the scent of cinnamon and gingerbread, and snuggled up in Christmas cheer. The market is named so because of the striezel (or stollen) for which Dresden is famous. No visit here is complete without a sample of this festive treat! 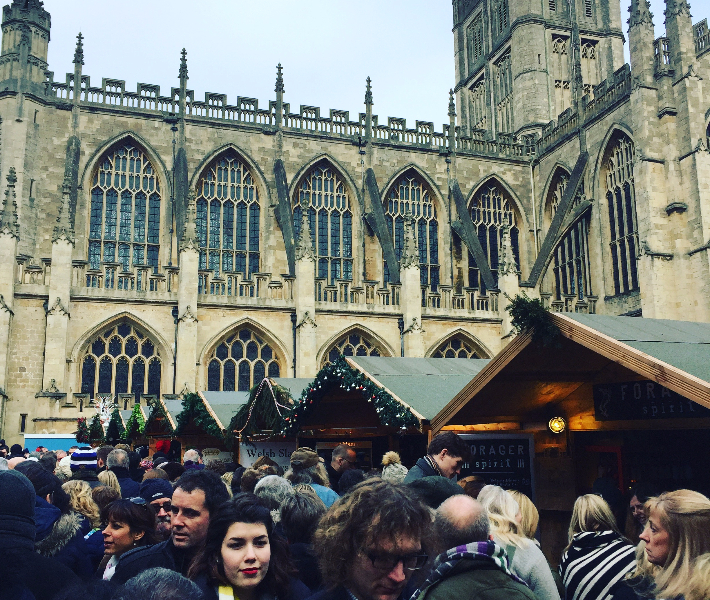 This city of history and culture is the perfect place to house Christmas markets, with 200 wooden chalets selling a wide array of gifts, food and decorations all set in the heart of Bath’s World Heritage Site. The markets are distinctly British, with more than 80% of stalls featuring businesses from the region and 99% of all products either handmade in Bath, the UK or overseas with Fairtrade certification. The markets are one of the most popular within the UK, having been named The Telegraph’s Best Market of 2017 and the National Outdoor Event Association’s Event of the Year 2017. 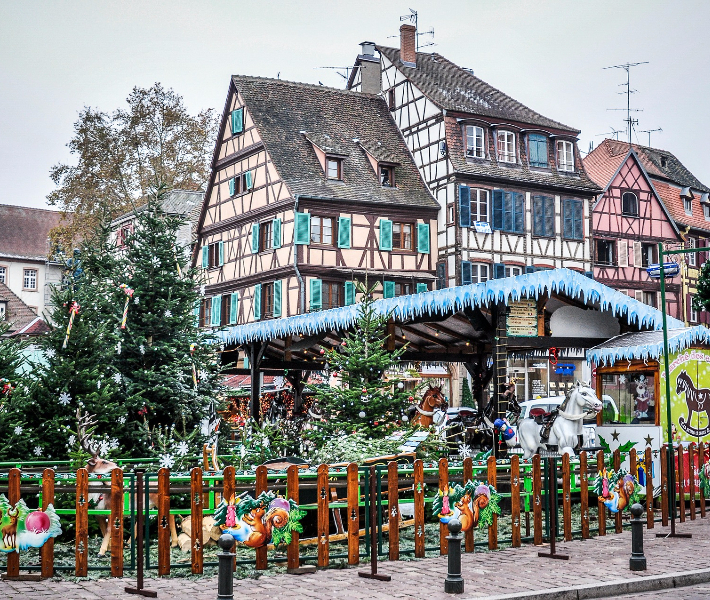 Step into a fairytale and explore the winding streets and chocolate-box cityscape of Colmar in France. Stalls are hidden between architectural treasures such as monuments, churches and museums, with buildings dating from the Middle Ages to the 19th Century. The city plays host to five markets, each like a mini-village where craftsmen, culinary wizards and local artisans flourish. Nestled between stunning towns, the whole city is transformed like a dream into an open-air theatre where the Christmas cheer spreads with ease and warms you to your core. A more recent contender for the Christmas market trend, Canada’s Grand Christmas Market takes inspiration from European favourites and adds its own unique twist. Running through December until Christmas Eve, the event spreads across Ste Catherine Street with more than 60 stalls, each offering handicrafts or warming winter drinks. In addition to these, the market is equally as fun for young visitors, featuring elves’ workshops, Santa’s sleigh and even an igloo. The markets also reopen on New Year’s Eve where local DJs provide entertainment into the early hours, so you can see in the New Year with festive fun. 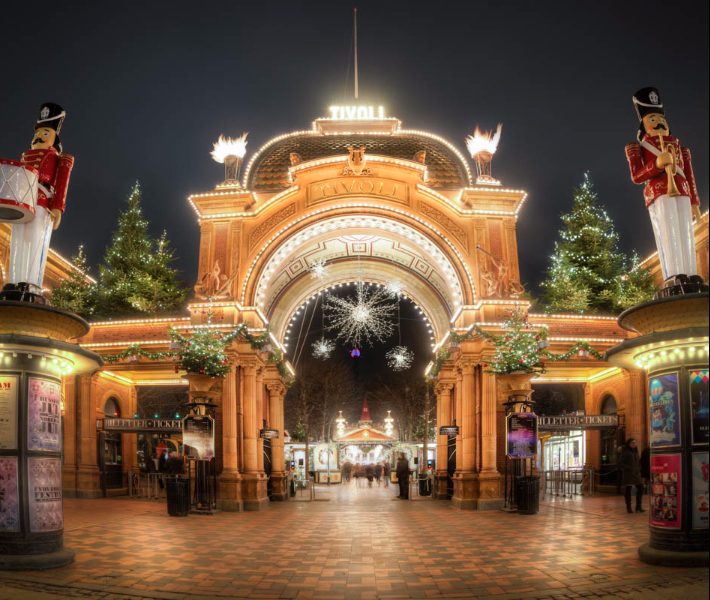 Experience the Nordic Christmas atmosphere with fellow Copenhageners at the esteemed Tivoli Gardens, where pine branches decorate the wooden houses as they burst with Christmas treats and gifts. There are fairground rides for thrill-seekers and the honey cake workshop in the H.C. Andersen Castle, where you and your family can decorate your own honey cake hearts and see Denmark’s largest elf-run honey cake-making machine. Visit the Chinese area and witness more than 16,000 lights, where the sky glows above you and shows are put on every 20 minutes. Christmas shopping at any of these markets is exciting and spreads boundless festive cheer, from the chocolate crepes found in France and the novelty nutcrackers in Germany to the festive Fairtrade treats of Bath and Budapest’s boutique advent calendar. 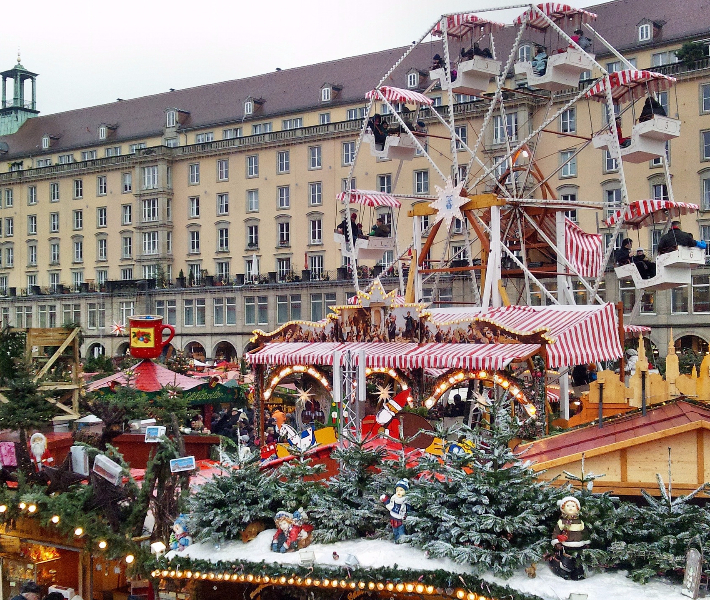 Have you visited any of these magical Christmas markets? Let us know in the comment box below! Winter Olympics 2018: Where is PyeongChang?